It was a delight to photograph this 11 day old baby girl. She was a perfect little model for me. And so cute too! Here is a sneak peek at our session. Today was session number 3 for this adorable little one and she was a perfect little model. Little J was not thrilled with her cake but we enjoyed watching her try to figure out what this was all about. Here is J at almost a year old. My first baby of the new year was born on Christmas Day, so we did a couple of Christmasy set ups for her. Little Miss B made me work for every pose but we managed to get some adorable pictures. Here is Miss B, born on Dec. 25th! 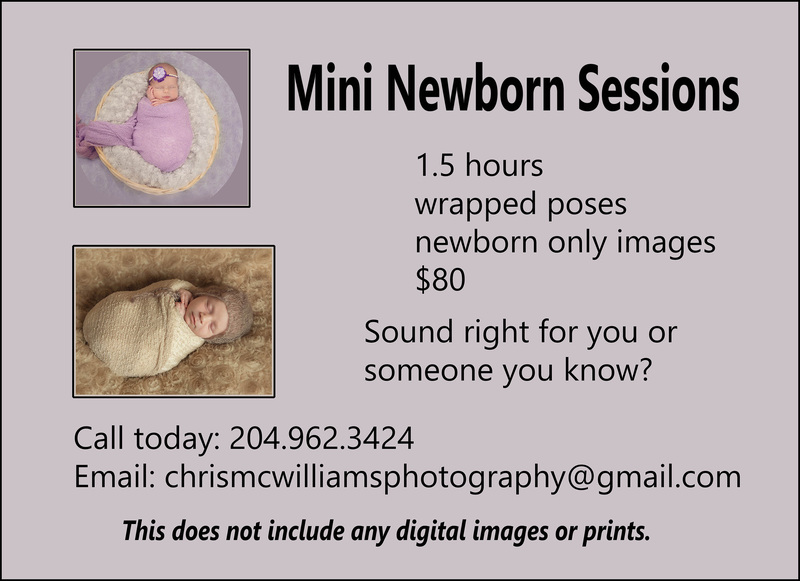 I am introducing a new type of session; a mini newborn session. I love photographing newborns but I realize that doing a 3 or 4 hour session is tiring for a sleep deprived mom and that some people only want pictures of their baby. A mini newborn session is a great alternative to a longer session. A mini session includes photographing the baby; not the siblings or the parents or the grandparents. Just the baby. If that is something that you or someone you know might be interested in, give me a call. As an introductory offer, I am offering 2 of these sessions free to the first 2 people who send me a deposit. You can book a mini newborn session by sending me a text, an email or giving me a call. You will need to send a $50 deposit by interac e-Transfer to secure your free session. The deposit will be applied towards the purchase of prints or products. Please note, that this offer does not include any digital images or products. The free sessions are only for babies under 2 weeks old. I wish all of you a wonderful Christmas (Holiday) week and hope that you have time to visit with family and friends. I hope you take lots of pictures of your times together so that you can look back at this time in 10 years or 20 years. Please print some of those pictures so that they are available for you to view in the future. I hope that you get some professional portraits done in 2019 and that you order products to decorate your house and albums for future generations to look at. I hope that you include people’s names in those pictures so that your great great grand kids will know who the strangers in the pictures are. And I wish you good health in 2019, as without our health we really have nothing. And I hope you find happiness in the small things in your day; the smile on your child’s face, the sun and the warm wind on your face and that great piece of chocolate. Are you still looking the perfect gift for someone on your Christmas list? 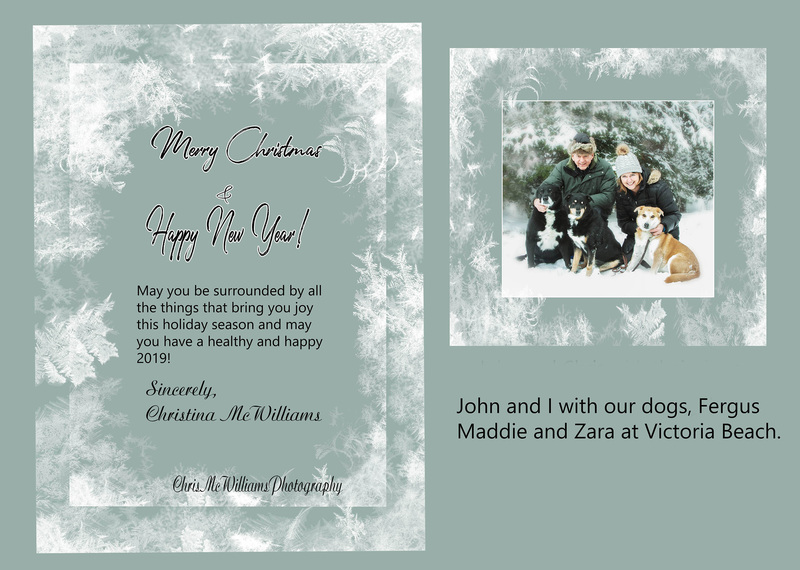 How about getting them a gift certificate for a photography session? It’s the perfect gift for a busy family or a family that is expecting a baby. It might be something that they couldn’t afford themselves but would love to have. Call, email or text me if you would like a personalized gift certificate. I can email the certificate to you and you can pay for it with a credit card, interac eTransfer or with Paypal. It’s simple and it a great gift!